Veterans can sometimes run into issues with law enforcement and the criminal justice system resulting in incarceration. It is important justice-involved Veterans are familiar with VA benefits including what VA benefits they may still eligible to receive, what happens to the VA benefits they are already receiving if they become incarcerated, and what programs are available to assist them with reintegrating back into the community once released from incarceration. Despite the circumstances, some justice-involved Veterans may be eligible for VA benefits. Disability compensation, pension, education and training, health care, home loans, insurance, vocational rehabilitation and employment, and burial. See our Veterans page for an overview of the benefits available to all Veterans. Please be aware many VA benefits can be affected by incarceration. The following sections provide information for justice-involved Veterans. The HCRV Program is designed to help incarcerated Veterans successfully reintegrate back into the community after their release. A critical part of HCRV is providing information to Veterans while they are incarcerated, so they can plan for re-entry themselves. A primary goal of the HCRV program is to prevent Veterans from becoming homeless once they are reintegrated back into the community. Learn more about the Health Care for Re-entry Veterans Program. The VJO initiative is designed to help Veterans avoid unnecessary criminalization of mental illness and extended incarceration by ensuring eligible justice-involved Veterans receive timely access to VA health care, specifically mental health and substance use services (if clinically indicated) and other VA services and benefits as appropriate. Learn more about the Veteran Justice Outreach Initiative. VA can pay certain benefits to Veterans who are incarcerated in a Federal, State, or local penal institution; however, the amount depends on the type of benefit and reason for incarceration. VA disability compensation payments are reduced if a Veteran is convicted of a felony and imprisoned for more than 60 days. Veterans rated 20 percent or more are limited to the 10 percent disability rate. For a Veteran whose disability rating is 10 percent, the payment is reduced by one-half. Once a Veteran is released from prison, compensation payments may be reinstated based upon the severity of the service connected disability(ies) at that time. Payments are not reduced for recipients participating in work release programs, residing in halfway houses (also known as "residential re-entry centers"), or under community control. The amount of any increased compensation awarded to an incarcerated Veteran that results from other than a statutory rate increase may be subject to reduction due to incarceration. Veterans in receipt of VA pension will have payments terminated effective the 61st day after imprisonment in a Federal, State, or local penal institution for conviction of a felony or misdemeanor. Payments may be resumed upon release from prison if the Veteran meets VA eligibility requirements. Failure to notify VA of a Veteran's incarceration could result in the loss of all financial benefits until the overpayment is recovered. All or part of the compensation not paid to an incarcerated Veteran may be apportioned to the Veteran's spouse, child or children, and dependent parents on the basis of individual need. In determining individual need, consideration shall be given to such factors as the claimant's income and living expenses, the amount of compensation available to be apportioned, the needs and living expenses of other claimants as well as any special needs, if any, of all claimants. VA will inform a Veteran whose benefits are subject to reduction of the right of the Veteran's dependents to an apportionment while the Veteran is incarcerated, and the conditions under which payments to the Veteran may be resumed upon release from incarceration. VA will also notify the dependents of their right to an apportionment if the VA is aware of their existence and can obtain their addresses. No apportionment may be made to or on behalf of any person who is incarcerated in a Federal, State, or local penal institution for conviction of a felony. An apportionment of an incarcerated Veteran's VA benefits is not granted automatically to the Veteran's dependents. The dependent(s) must file a claim for an apportionment. Beneficiaries incarcerated for other than a felony can receive full monthly benefits, if otherwise entitled. Convicted felons residing in halfway houses (also known as "residential re-entry centers"), or participating in work-release programs also can receive full monthly benefits. Claimants incarcerated for a felony conviction can be paid only the costs of tuition, fees, and necessary books, equipment, and supplies. 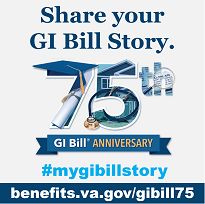 VA cannot make payments for tuition, fees, books, equipment, or supplies if another Federal State or local program pays these costs in full. If another government program pays only a part of the cost of tuition, fees, books, equipment, or supplies, VA can authorize the incarcerated claimant payment for the remaining part of the costs. Each VA Regional Office has a Homeless Veterans Outreach Coordinator who assists justice-involved Veterans. They are a direct point of contact for you to learn more about what benefits you qualify for, assist you with applying for those benefits, and refer you to other organizations and resources that will help you with your specific needs. To find your local Homeless Veterans Outreach Coordinator, please call VA's National Call Center for Homeless Veterans at 1-877-4AID-VET (1-877-424-3838).